Swamps make such great settings. The plants look odd. 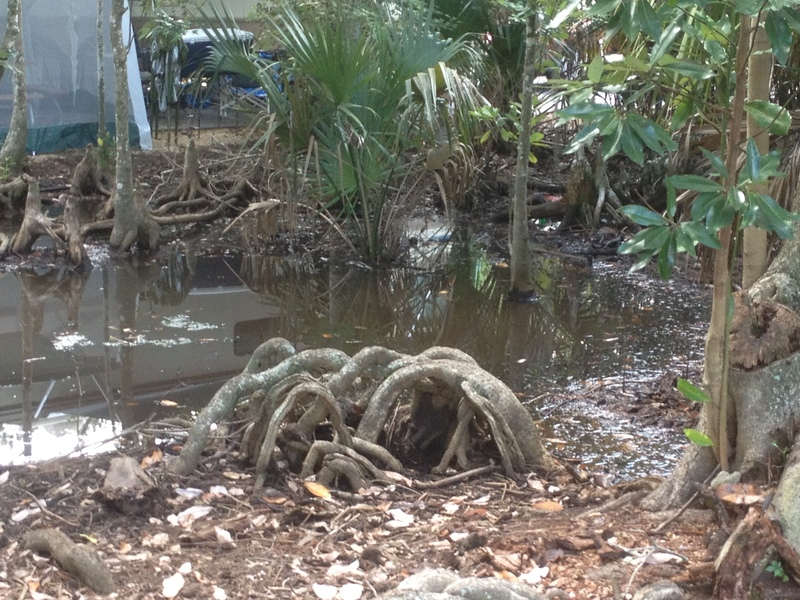 (Seriously, look at those tree roots!) The potential for gross out moments escalates with murky water and the who-knows-whats-in-it muck under the water. Quite a few of the inhabitants bite. Why is my character here? If your setting is a swamp, your character needs a pretty good reason to be there. She may be hunting crawfish. He may be trying to get rid of a body. Someone may have lost a bet. How is my character going to get out of here? Is a boat available? (You can always break the motor, you know.) Will she have to wade back? What obstacles stand in my character’s way? Swamps give you so many options to choose from: alligators, lack of compass, mosquitoes, poisonous snakes. Notice that these questions focus on things that can create conflict. Conflict is the essence of a story. Focusing on questions that lead to conflict can help you think up a good story based on a cool setting. This entry was posted in The Muse, Inspiration & Story Ideas, The World of Writing and tagged angel, author, Elysian Chronicles, fantasy, guardian angel, M. B. Weston, publishing, speaker, warfare, writing. Bookmark the permalink.